December 11, 2017 - VABeachBio Innovation Challenge Is On! The world's largest virtual startup challenge-based accelerator, the Center for Advancing Innovation (CAI), is launching an ambassador program. Forbes Nonprofit Council is an invitation-only organization for senior-level executives in successful nonprofit organizations. ​June 21, 2017 - The challenge is to beat cancer A challenge has been launched at the world's biggest biotech event to advance 100 breakthroughs in fight against cancer. Do you have what it takes to launch a new biomedical company? Think "Shark Tank" with a twist: The opportunity to launch a business around an existing invention. There are more than 150,000 inventions that are “sitting on the shelf – because of lack of funding, they’re not de-risked enough, or because they’re not ‘discoverable’ by oustiders,” said Rosemarie Truman, founder and CEO of the Center for Advancing Innovation (CAI). The Biotechnology Innovation Organization (BIO), the world's largest biotech trade association, is teaming up with the Center for Advancing Innovation (CAI) to engage the biotech community and assist in promoting the Freedom from Cancer Startup Challenge (FCSC), a unique initiative designed to advance and commercialize 100 cancer inventions for the prevention, detection, and treatment of cancer. As part of the city’s efforts to expand its bioscience sector, Virginia Beach also is partnering with The Center for Advancing Innovation to create the VABeachBio Innovation Challenge. Announced by Mayor Will Sessoms at the Virginia Biotechnology Association’s conference in the city in early April, the challenge is designed to bring together entrepreneurs, industry and inventors who will compete to turn inventions into startup companies. The initial competition will put a big emphasis on aiding veterans. Inventions will be selected to target and improve veteran health care, and veterans will be given priority in competing to run the companies. The City of Virginia Beach is partnering with The Center for Advancing Innovation, a firm that has created more than 80 companies and more than 2,000 knowledge-based jobs by turning federally funded inventions into startup companies, to create the VABeachBio Innovation Challenge. 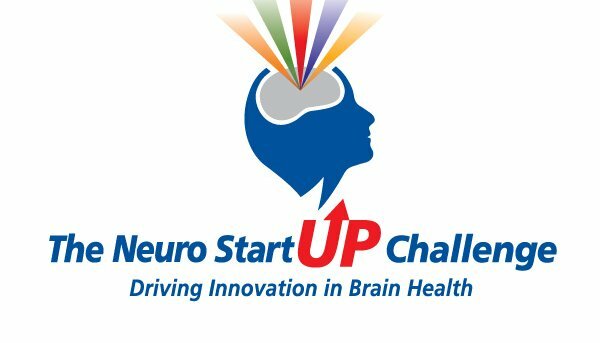 The Federal Laboratory Consortium (FLC) published the NIH Startup Challenge Model highlighting CAI's process, successes, notable results, and feedback from our successful startups. "The Startup Challenge Model is a technology transfer strategy with potential to help simultaneously advance multiple federal inventions from discovery to commercialization." Today, in celebration of National Entrepreneurship Month, the Administration is releasing a Top 10 list of President Obama’s most significant specific actions to promote American entrepreneurship, as well as announcing new efforts to build on these successes. The President’s unprecedented focus on the role of startups in the United States’ innovation economy is exemplified by his launch of Startup America in 2011, a White House initiative to celebrate, inspire, and accelerate high-growth entrepreneurship throughout the Nation. The Breast Cancer Startup Challenge is recognized by the White House in "IMPACT REPORT: 100 Examples of President Obama’s Leadership in Science, Technology, and Innovation" under #36 of 100. On January 20, 2009, President Obama issued a simple and powerful pledge: to restore science to its rightful place. Coming into office, the President was committed to reinvigorating the American scientific enterprise through a strong commitment to basic and applied research, innovation, and education; to restoring integrity to science policy; and most importantly, to making decisions on the basis of evidence, rather than ideology. The Nanotechnology Startup Challenge for Cancer employs a range of innovative strategies to bring cancer nanotechnology inventions to market. Nanotech Startup Challenge in Cancer launches to create new high-impact companies around promising nanotechnology cancer-related inventions. To support the United States as a nation of innovators, the Administration has introduced many tools to the Federal government’s innovation toolkit. As described in the Strategy for American Innovation, these tools are aimed at uncovering the best ideas, wherever they may lie, and creating opportunities for those ideas to find their way to the marketplace.